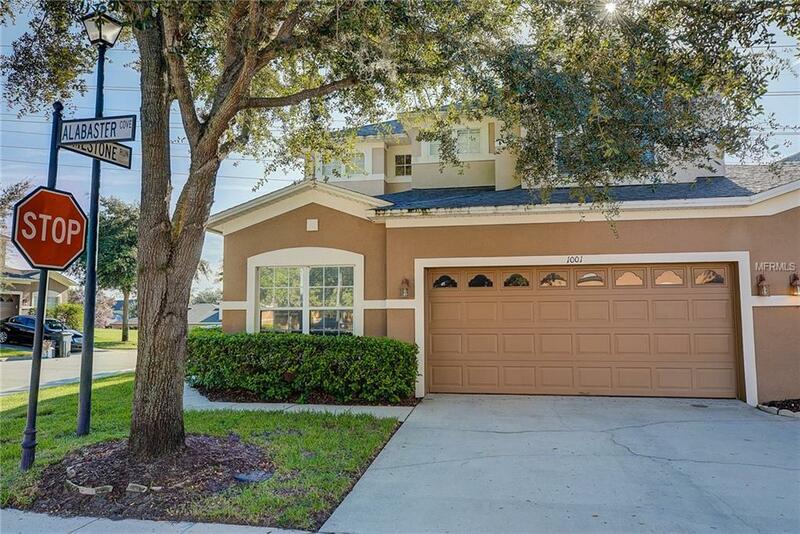 Immediately Available : Enjoy and be impressed with the open spacious feeling this Greystone 3 bedroom 3 bathroom end unit townhouse has to offer. 18 ft ceilings in the main living area, lots of natural light, formal dining room area, kitchen and living room combination with a dinette area in the kitchen. The ground floor also offers a bedroom, full bath, interior laundry room access and the screened porch overlooking the conservation green area. No close rear neighbors with this end unit. Upstairs you will find the 3 rd bedroom and the Master Bedroom retreat featuring a tray ceiling and large walk in closet. Master bathroom features dual sinks, soaking tub with separate shower. The community offers a community pool, playground and fitness center. Gated access for residents minimized thru traffic. There is easy access to local interchanges, dining, shopping and entertainment.